Naeem Khan’s gorgeous fall 2014 collection included eye-popping scarlet gowns, and the fashions were accented with models’ glowing skin, bold eyebrows, and dramatic red lipstick. 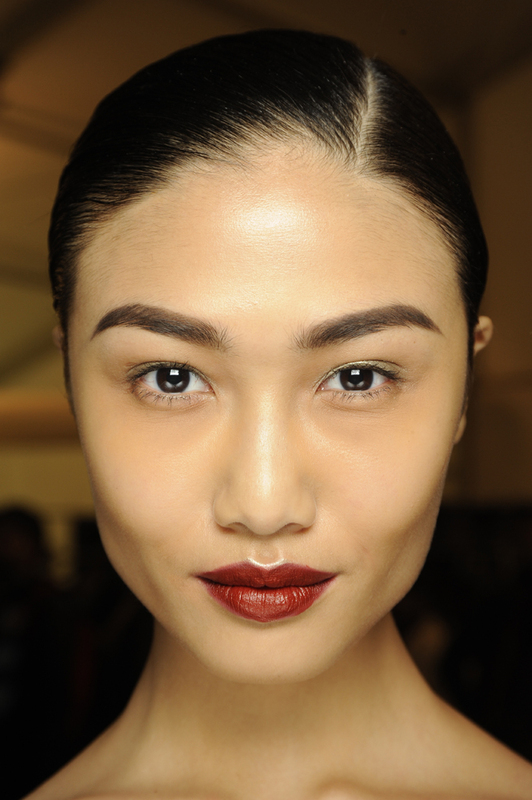 The bold lipstick look was full of new product launches for NARS’ fall 2014 season — get your first look here! This pretty makeup look is all about the red lipstick, and the NARS team worked wonders with pretty new products from the brand’s upcoming Fall 2014 line. For the look, the team accentuated the models’ pouts with Lanikai Velvet Lip Liner and Mirihi Island Beach Velvet Lip Liner. Depending on the exact hue they were going for, Audacious Lipstick shades of Marlene, Jeanne, and Bette provided crimson and berry color flushes. 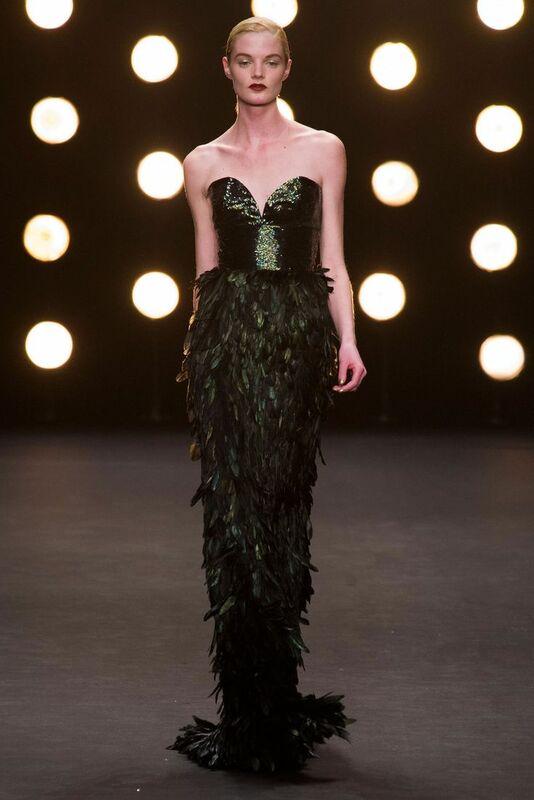 The bold colors played up Naeem Khan’s sophisticated fabric collection of vibrant reds, sparkling golds, and moodly blacks. On the girls’ faces, the team prepped their skin with NARSskin Aqua Gel Luminous Oil-Free Moisturizer and added a little color with Pure Radiant Tinted Moisturizer. Imperfections were concealed with Radiant Creamy Concealer and the look was set with Loose powder. The show’s eye makeup looks shimmered and sparkled with minimalistic eyeshadow. The team used the gold lamè side of Kauai Duo Eyeshadow and finished off the models’ lashes with Larger Than Life Lengthening Mascara. To frame the face, each girl’s brows were filled in with Matte Eyeshadow (shades Blondie, Bali or Coconut Grove depending on hair color) and set with Oural Brow Gel.